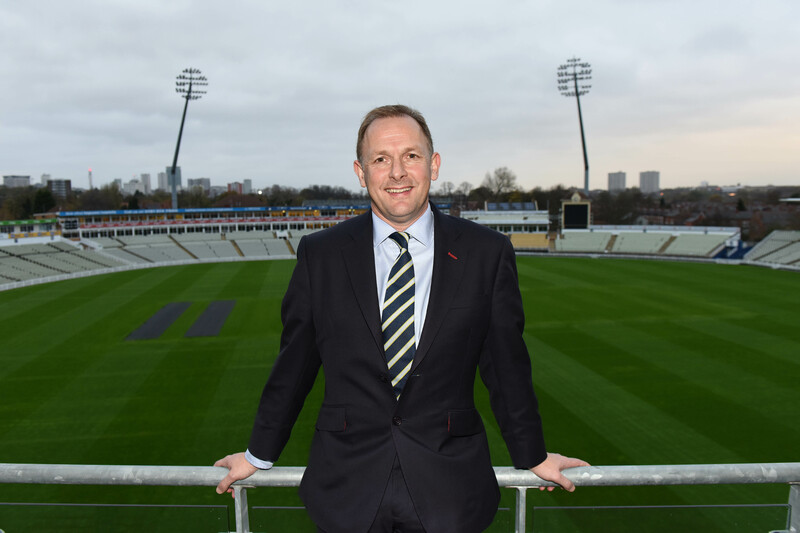 In this latest interview, Neil Snowball, CEO at Warwickshire County Cricket Club, shares details on the upcoming developments at their world-class, international cricket venue, Edgbaston Stadium. Can you start off by telling us a little bit about yourself, your career journey to date and highlights? 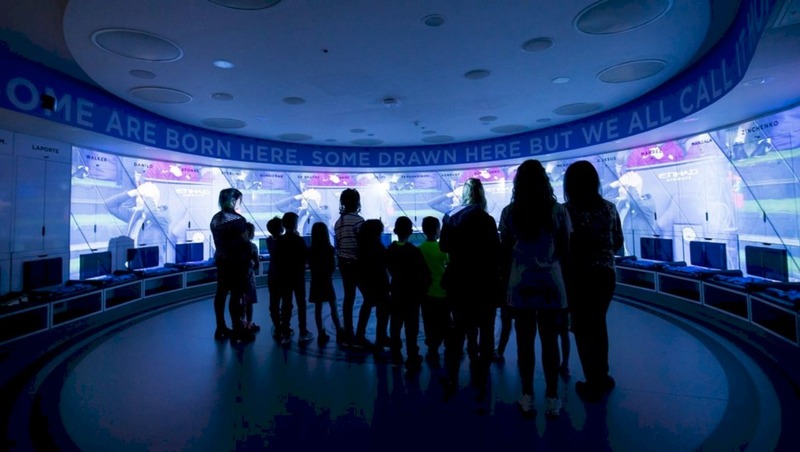 I’ve been involved in major sporting events for the last decade, having started off working on the London 2012 Olympic and Paralympic Games as Head of Sports Operations. Immediately prior to that, I had seven years with Goldman Sachs working on their operational side. So I’ve made the move from banking into sports. I had six really great years working for LOCOG, the highlight obviously being the Games themselves and the way everything came together so spectacularly well. I moved to England Rugby 2015 as Chief Operating Officer in 2013, which was fortunate with the timing, where I had three great years and worked with an outstanding team. Then the timing worked well again, as I became CEO of Warwickshire County Cricket Club in early 2016. I’ve been incredibly fortunate in terms of these opportunities opening up and I guess in regards to the key highlights, these have been the events themselves. In relation to what I enjoy the most, it’s building the teams, bringing talented people together, seeing them grow, then delivering something which is quite unique in its own way, that’s what gives me the biggest buzz. As CEO at Edgbaston, home to Warwickshire CCC, what are the main challenges? The main challenge on the business side, is constantly having to ‘flex’ the organisation to suit the requirements of the different events you’re hosting. In my previous roles at LOCOG and England Rugby for the RWC 2015, you have a gradual build up to one big event and then you disband the organisation. One of the challenges of running an international cricket venue like Edgbaston, is that you’re constantly flexing; so one minute you’re putting on a big national conference, then you might have a quite week, and then you’re putting on a county championship game with about 2,000 members, and then you might have another quite week, and then you’re hosting 25,000 people for an international T20 or a Test Match. So it’s a real challenge to retain the focus of the organisation, to flex accordingly, utilising the resources at your disposal and at the same time delivering on the bottom line. The other thing is that we have to get the balance right; we are a members club at the end of the day. We have our Warwickshire CCC members, who are very important to us and feel very deeply about the club and the ground, but then also we’re a world-class international venue, with people coming from all over the world. So you’ve got to balance the needs of the different stakeholders. I think, like with any stadium these days, it’s a case of diversifying your revenues; you can’t just operate as a cricket venue. We’re constantly looking at different ways of diversifying and our conference and events business is a huge part of that. And that’s always a challenge. What are the key objectives for the next 12-48 months? We have had a lot of change in recent years. 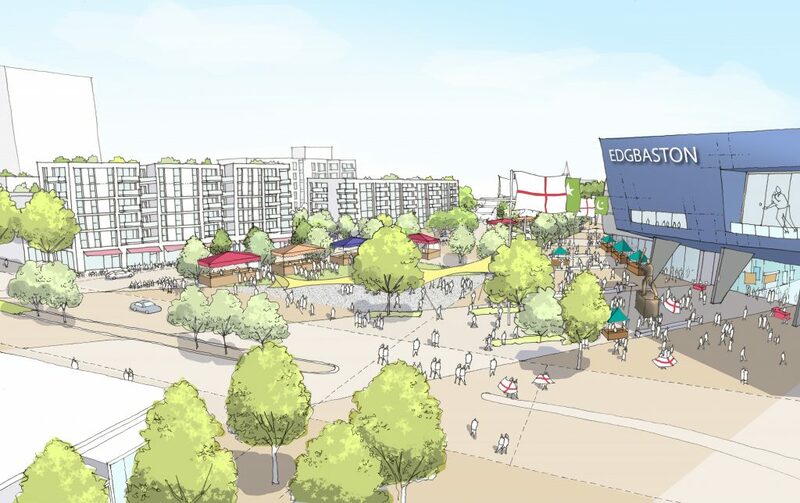 Particular when we did the big redevelopment of Edgbaston between 2010 and 2011, and so a big part of my job has been to consolidate the organisation and prepare it to push on to the next level. As part of that, we’ve undergone a thorough review of our governance structure, which has been quite time consuming but worthwhile and we have an excellent structure in place now. One of the challenges over the next 12 months will be establishing that new governance structure in place. The other thing is that we’re gearing up towards the next stage of development of the site. When we did the redevelopment of the South Stand back in 2010/11 this was part funded by selling off some land and one of my objectives when I arrived was to agree a deal with a property developer to develop that site. We have recently entered into an agreement with a German property fund who will start developing some 370 apartments adjacent to the stadium, which will start next year. This is both a big challenge and a big opportunity. Next year is also one of the biggest years in the history of the club, with the ICC Cricket World Cup (ICC CWC19), during which we’re hosting five matches, as well as the first test of the Ashes Series and T20 Blast Finals day. It’s a huge year for us from a cricketing point of view, so one of the challenges is balancing that new development with delivering events at the highest level. On top of that I am also ultimately responsible for the performance of our professional teams, Warwickshire and the Birmingham Bears. We’ve had a very good run over the last 10 years in terms of trophies, and we want to be winning silverware again in 2019. You’ve been CEO at Edgbaston since January 2016, having previously worked as Chief Operating Officer of the Rugby World Cup in England in 2015 and was Head of Sport Operations at the London Organising Committee for the Olympic and Paralympic Games before this. How have these previous experiences informed what you do at Edgbaston? They’ve been invaluable! A huge driver of our business is around the delivery of major matches, being an international venue, so the experiences I’ve had with London 2012 and being COO for the Rugby World Cup in 2015, has been huge in terms of delivery of major matches, making sure that we deliver the highest possible standards, which obviously have a big impact both financially and reputationally for the club. Both the ICC and ECB monitor and measure the venues closely and we are very much aware that hosting the top matches is a highly competitive business. There are a lot of very good cricket grounds in this country, who are bidding for and pitching to host international cricket, which means we always have to be on our ‘A’ game. I’d like to think that I’ve brought a lot of my experience from working with LOGOG and England Rugby to Edgbaston. The other is working with the stakeholders. I had six years working with the IOC, and the host cities around the country, and obviously on the Rugby World Rugby, working with The RFU and World Rugby, which has helped me now that I’m working with the ECB and the ICC, so in terms of understanding their needs, and working with them in a positive way, that’s been a big help. Likewise, a large part of my role with the RWC was working with all of the host cities and host venues. And so now, working with Birmingham City Council and West Midlands Combined Authority, is a crucial part of my role, so having put on two major events, that has prepared me well for those sorts of relationships. 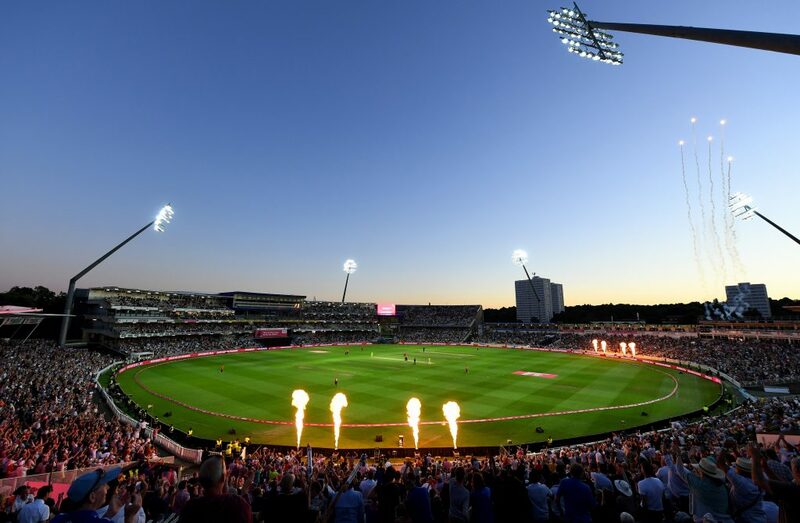 Edgbaston was recently named as the host venue for the opening match of next year’s Specsavers Ashes Test series and has also been awarded five marquee fixtures in the ICC Cricket World Cup. How important is it to secure such events? I really can’t emphasise enough the importance of hosting these events. 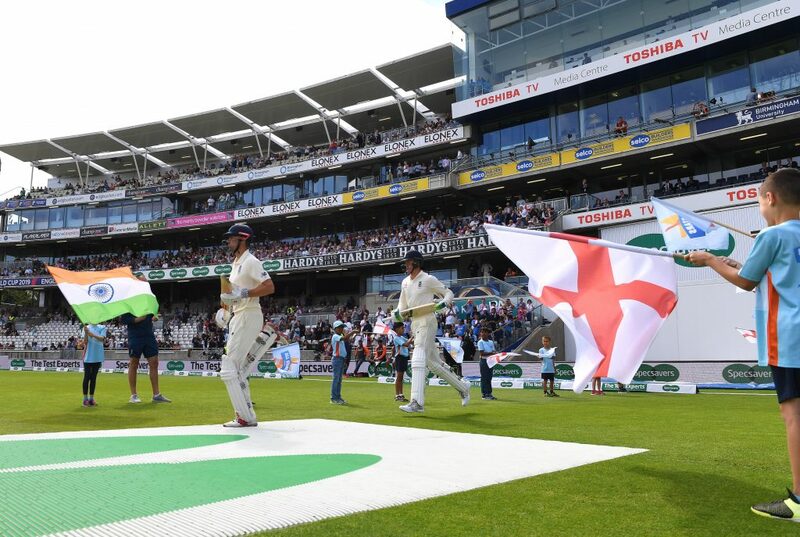 It’s a tremendous honour to host an Ashes test, after all its probably the biggest event in cricket, and we pitched to host the first test partly because of the kudos around that and also the fact that England have a tremendous record of playing at Edgbaston, with the best winning record of any of the Test Match Grounds! It’s invaluable and the revenue streams we get from hosting these matches is a significant part of our business model. So it’s very important that we continue to attract the very best games and deliver them to a high standard. Secondly, it’s the reputation of Edgbaston and Birmingham. We are a world-class venue and hosting these kinds of events gives us a global profile, which helps in terms of sponsorship and our conference and events business; when you have that kind of profile, people want to be associated with you all year round. 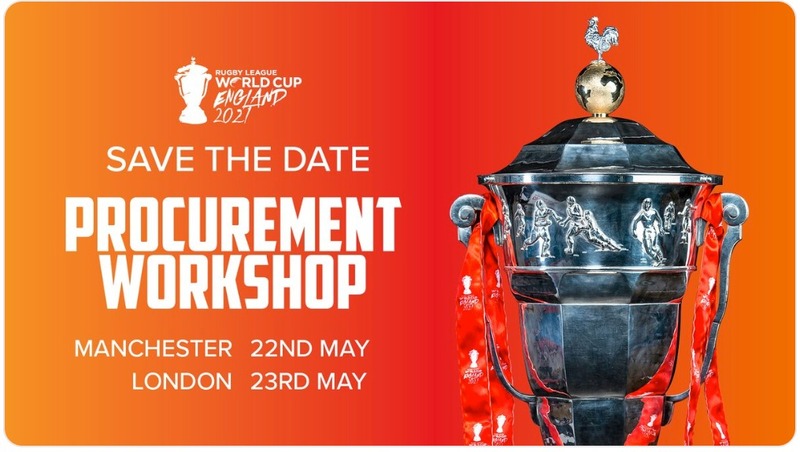 I can’t overstate the importance of hosting these events, not just for Edgbaston but also for the city of Birmingham and the whole of the West Midlands region. Back in 2011, Edgbaston completed a GBP£32m upgrade and redevelopment of the stadium, which included the addition of purpose-built media facilities, upgrades to the playing facilities and also developed a strong and successful conference and events business. Can you tell us about any future developments and the conference and events business? There are two main areas: the physical development of the stadium and the digital footprint. On the development side, the apartments will start to come out of the ground at some point in 2019, and that’s really important, as on the ground floor, there will be a series of retail units; bars, cafes, restaurants, etc., which we will have the option to operate through our joint-venture with Compass. But also, the area between the apartments and the stadium will be converted into a plaza. On game day, it will act as a magnificent new entrance to the ground, as well as a spectator plaza, which will a real game-changer for us in terms of how we deliver major matches. 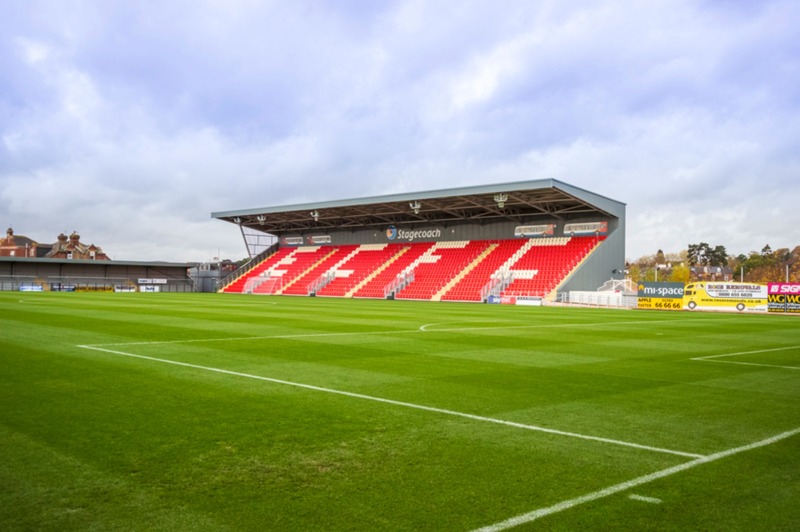 On the digital side, we developed a digital strategy about 12 months ago, which involved installing Wi-Fi stadium-wide and introducing IPTV screens throughout the stadium as part of a new deal with Toshiba. We’re also looking at developing a spectator app with a whole range of fan engagement activities, both in-stadium and at home, on the journey to and from the ground. We have a real opportunity here, particularly with cricket, where people are with us for such a long time. We’ve also engaged architects Wilson Owen & Owen (WOO), who I’ve worked with before, both on London 2012 and the RWC, who are developing an Edgbaston master plan to look at the phase after the apartments have been completed. They’ve come up with some really interesting schemes for a new hotel, a skyline terrace on top of the new South Stand, a new screen and scoreboard, and the option for extending our conference and events facilities. So we’re already looking ahead to what we’d like to to do after the apartments have been built, taking us up to 2024. You were on the Steering Committee for the successful Birmingham 2022 bid. How important was it for the city to secure the marquee event and what will hosting the event mean for Birmingham and Edgbaston? It’s fantastic news for Birmingham to have the Commonwealth Games coming to the city and the West Midlands in 2022. It’s exactly what Birmingham needs. Obviously Manchester had their moment in the sun, as did Glasgow and London. This is a perfect event for Birmingham, being such a diverse, commonwealth city. From our point of view, we hope that Edgbaston will be part of the Birmingham 2022 cultural festival and the business expo being developed around the event. Finally, your COO, Craig Flindall, is one of the 55+ industry expert speakers at Europe’s first Premium Seat event, ALSD International, being held in London this October. How important is it to take part in industry events like this? These events are a really good platform for us. We’re extremely proud of what we’ve achieved at Edgbaston and are more than happy to share details. We are also always on the lookout for new ideas, as you can never afford to stand still. By going to these events – speaking, meeting and networking with our peers – we can pick up ideas and hear about the latest technologies and trends. I always encourage my team to go to these types of events, as well as to other venues, both cricket and non-cricket, and indeed sporting and non-sporting; there are some fantastic music and cultural events around the country, where you can always pick up new ideas especially relating to customer experience. We’re very proud of what we’ve achieved here at Edgbaston and it’s good for the profile of the stadium to get involved in these kind of events. It’s also good for members of my team to be able to show what they can do, and to speak about what we’ve achieved. Huge thanks to Neil for taking the time to do this interview with us. 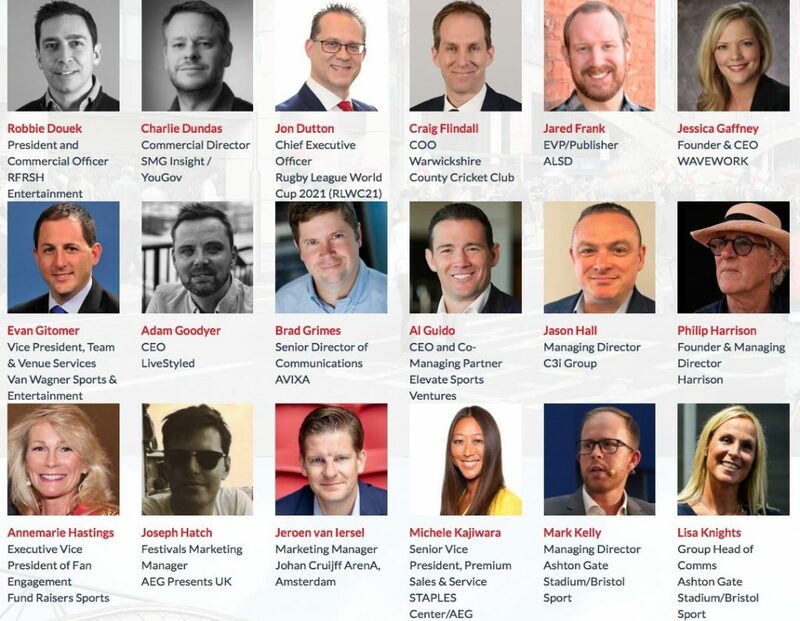 Craig Flindall, COO at Warwickshire CCC/Edgbaston Stadium, is one of the 55+ industry expert speakers taking part in Europe’s first Premium Seat event, ALSD International, being held in London this October, 10-12. Other high-level speakers include Michele Kajiwara, Senior VP, Premium Sales & Service at STAPLES Center/AEG, Mark Kelly, Managing Director at Ashton Gate Stadium, Al Guido, President at San Francisco 49ers and CEO at Elevate Sports Ventures, and Ramon Alarcón, Director & General Manager of Business at Real Betis.